Hong Kong film powerhouse Media Asia scored a pair of major deals in Cannes last week with Korean firms. 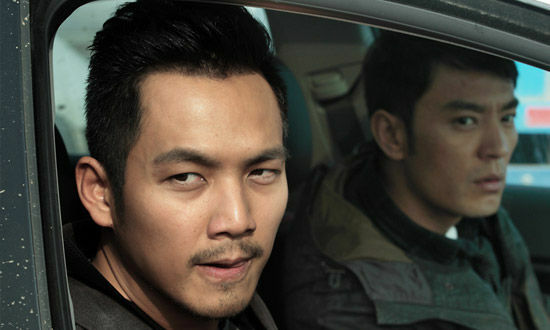 Johnny TO’s recent thriller Drug War (2012) will be remade for the Korean market while incoming Hong Kong thriller Helios had its theatrical rights snatched up by Korean distributor Pan Cinema. Media Asia announced that Drug War, Johnnie TO’s first film to be shot on the Chinese mainland, will be remade by Korean production company Jong Film. The film starred Louis KOO as a drug lord forced to snitch on his associates by an undercover police officer. Recent Korean hit thriller Cold Eyes was also based on a Johnnie TO-produced film, the 2007 thriller Eye in the Sky. Meanwhile, Pan Cinema emerged victorious in a quick bidding war for Helios, as Media Asia reported that most Korean distributors expressed their interest in their new thriller. Helios is the new film from Longman LEUNG and Sunny LUK, the directing pair behind Cold War, which served as the opening film of the Busan International Film Festival in 2012. It features a Korean terrorist trying to sell a nuclear bomb in Hong Kong.